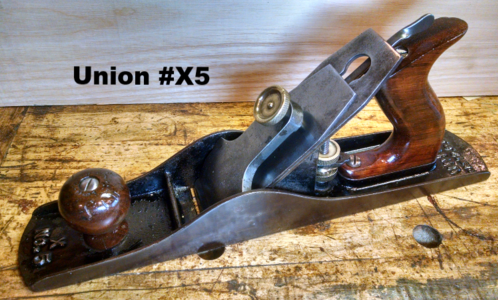 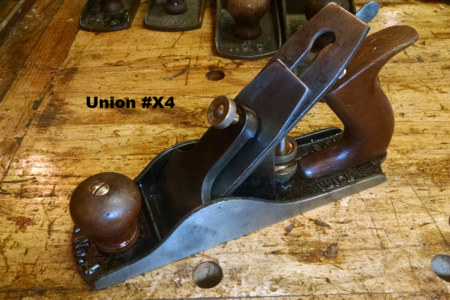 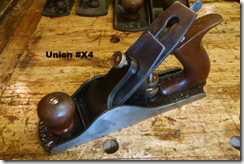 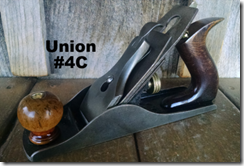 The typical Union Planes are on par with Bailey but, the “X pattern” Unions, with their double adjusting nuts are perhaps a bit superior. 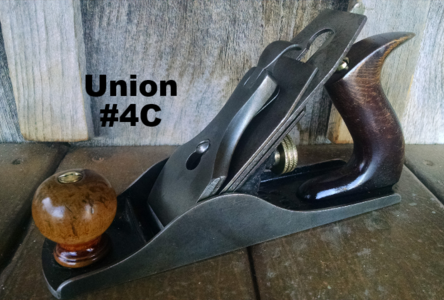 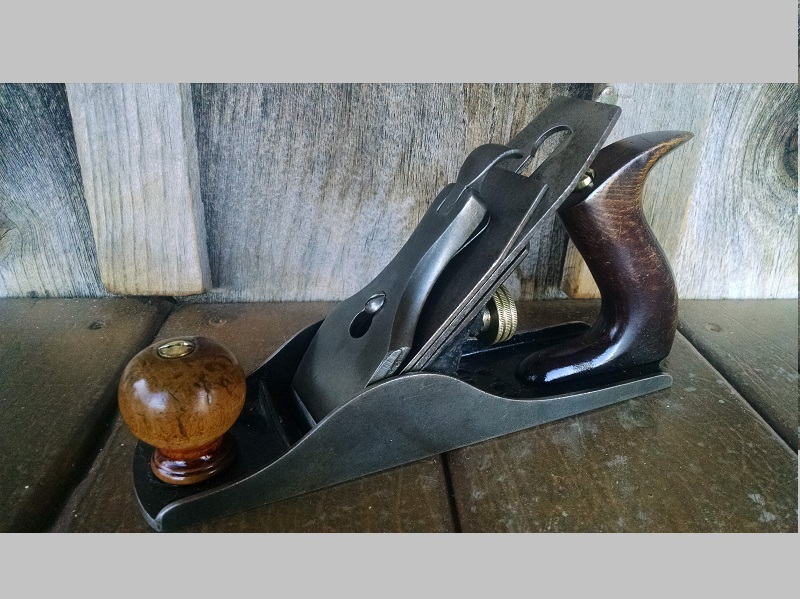 In 1900 Union Purchased Derby (Birmingham) Plane Manufacturing. 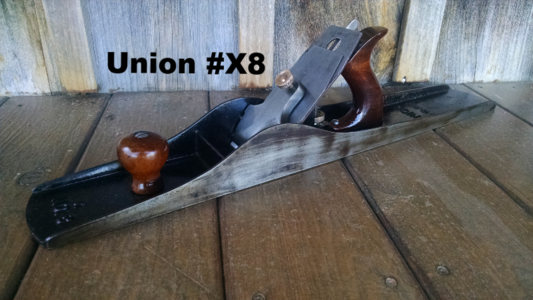 1900-1903 Union only manufactured the B plane. 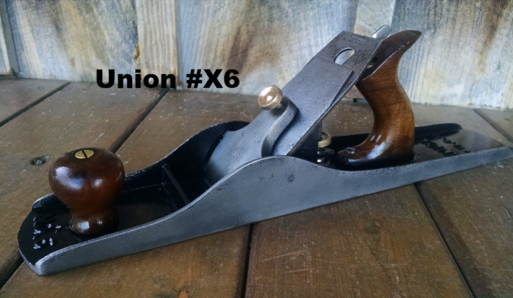 We’ve had an ongoing discussion about dating (typing) Union Planes on the forum. 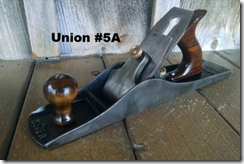 The first two from the left are from the Union Patent (see below). 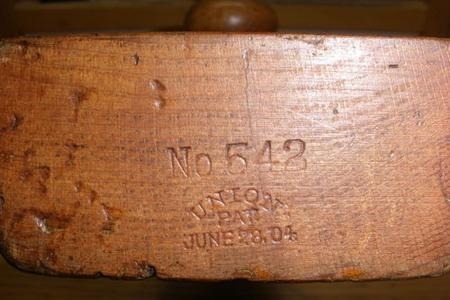 Which came first is unknown at this time. 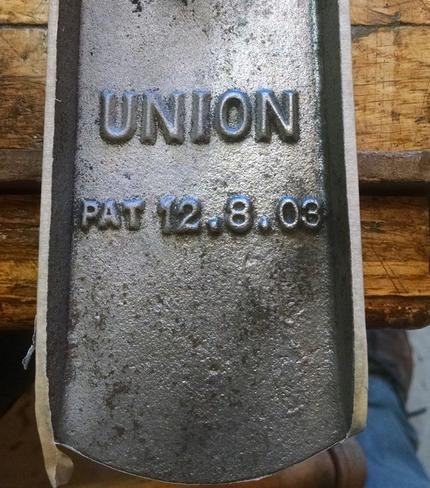 It’s believe the Union on the cap didn’t come until the Stanley buy out. 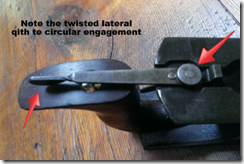 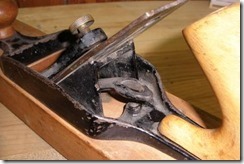 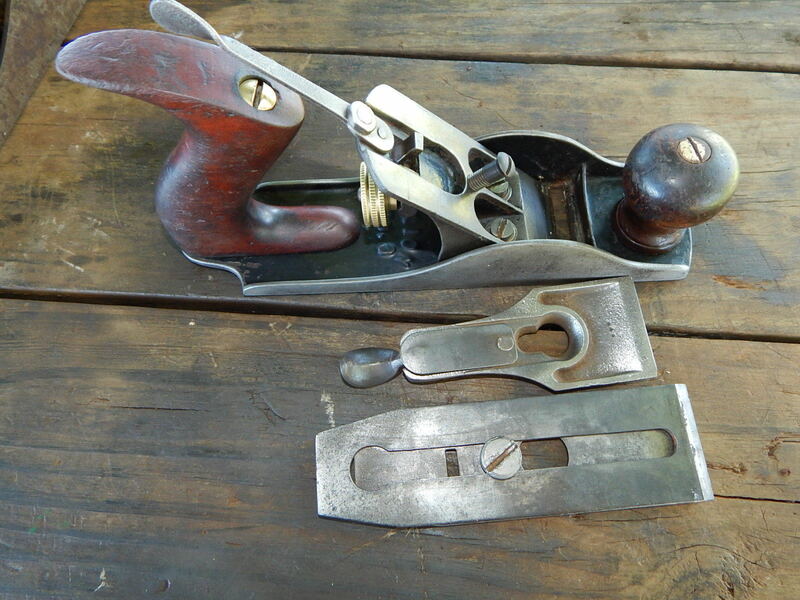 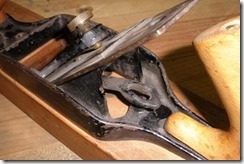 The Cutter with “Union Plane Co” with the hole toward the cutting edge would be Stanley made. All the wording or numbering was in the bed behind the frog or tote on early models. 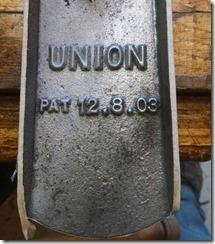 There are differences in the later Union and Stanley bases. 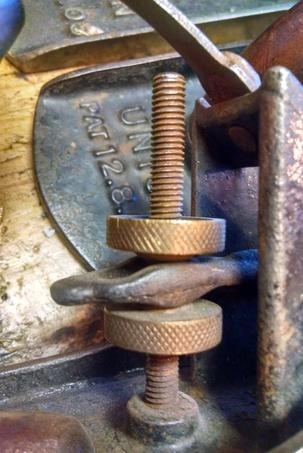 The center post for the frog base is a little different. 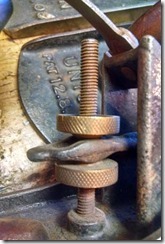 On some the pin for the lateral washer is distinctive on the Unions, although this is not on all of them. 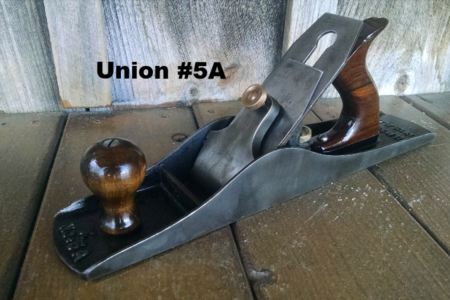 Also the knob and tote on Unions are typically mahogany (Union) and not rosewood. Next post Metallic Plane Co.